John Coltrane | Brad's All Vinyl Finds! One of my regrets is being born too late to have caught what I think of as the golden age of jazz, back in the 40s through the 60s. But at the just finished 2014 San Jose (CA) Jazz Festival, I was taken back in time, to Columbia’s 30th Street studios, where Miles Davis recorded Kind of Blue in 1959. 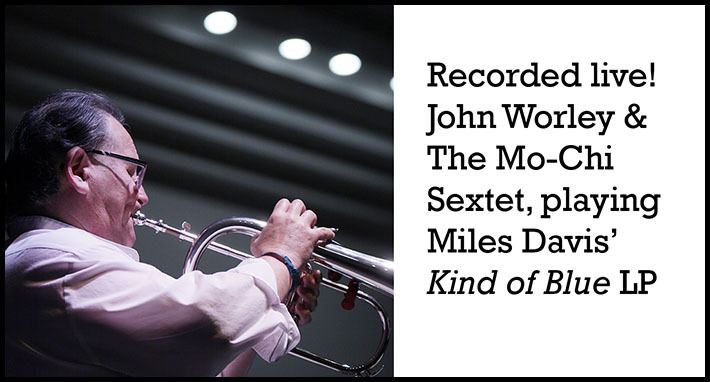 Local trumpeter John Worley’s band, the Mo-Chi Sextet, replicates the whole LP and does a great job of making you feel like you got to hear Davis on stage.